Capt. John 'Jack' David Ayers was born on October 7, 1791 somewhere in South Carolina and died about 1858 in Calhoun Co., Florida. Actual date of death is unknown. He lived to be about 66 years old. By 1837, when the Catawba Chief, General William Harris, signs a lease of some of the last remaining Catawba Reserve land over to a white settlers, Captain John Ayers soon after moves to Georgia. He served under Stephen Richards as a 'Friendly Indian' from 1837 to 1845. He was a scout for renegade Creek and Seminole Indians and helped prepare them for removal to Indian Territory. John and family moved to Florida about 1847, from Dooly Co. GA. He is buried at the Ayers Cemetery in Calhoun Co, FL. The bible beleived to belong to Capt. Ayers was passed down to his children. We received a copy of these pages. The linked document is large, so wait for it to load. 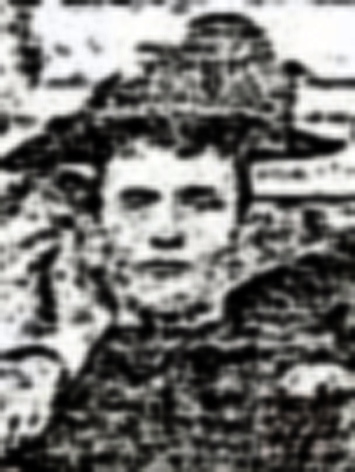 Polly Stephens willed all her rent to John Ayers and upon his death, to his children. General Jacob Ayres, Chief of the Catawbas (and successor of General Jacob Scott) signs a lease for 208 acres of Catawba Reserve land lying north of the old Trading Road. Those signing the writ, in addition to the General, were: Colonel Lewis Canty, Captain John Ayters, Major Thomas Brown and Lieutenant Jessie Ayres. Catawba Chief, General William Harris, signs a lease of some of the last remaining Catawba Reserve land over to a white settler. He co-signers and headmen at that time were Major Sam Scott, Captain Edward Ayers, and Lt. Lewis Stevens. The marriage of Jack John Ayers and Marilda Stephens is recorded at the bottom of this page. family #5: John Ayrs (age 43, born in SC), Arilda (age 43, born in GA), Tellitha (25, SC), David (11, GA), John (12, GA), Thos. (10, GA), Benjam. (8, GA), William (8,GA), Elizabeth A. (6, GA), Asa (4, GA), Quinn (2, FL), Ishmael (4 months old, FL). John states he is a Blacksmith. Click on any of the News, Events, or Discoveries buttons above to see historical things that happened during Capt. John 'Jack' Ayers's life. These are only some of the major events that affected the life and times of Capt. John 'Jack', his family, and friends. For example, Capt. John 'Jack' is 2 years old when Alexander McGillivray, the head of the Creek Indian Nation, dies. A restlessness begins to grow among the Indians in what is now Georgia, Alabama and Northern Florida as town chiefs via for the vacant leadership role. 11 1802 Georgia formally cedes western claims for its southern boundary at the 31st parallel -- which will become the north western border of FL. 19 1810 Western Florida, from the Pearl River to the Mississippi, is annexed by the US from Spain. 22 1813 During 1813-14, over 2,000 Muskogee-speaking Creeks move to Florida in response to the Creek Civil War (also known as the Red-sticks War). Most come from AL and GA.
27 1818 First Seminole Indian War takes place when Andrew Jackson brings his troops into northern Florida. 30 1821 Spain formally cedes Florida to the United States in 1821, according to terms of the Adams-On�s Treaty. Spanish colonists as well as settlers from the newly formed United States begin to pour into the new territory. Prior to this change, Florida was a wilderness sparsely dotted with settlements of native Indians, escaped/freed slaves and Spaniards. 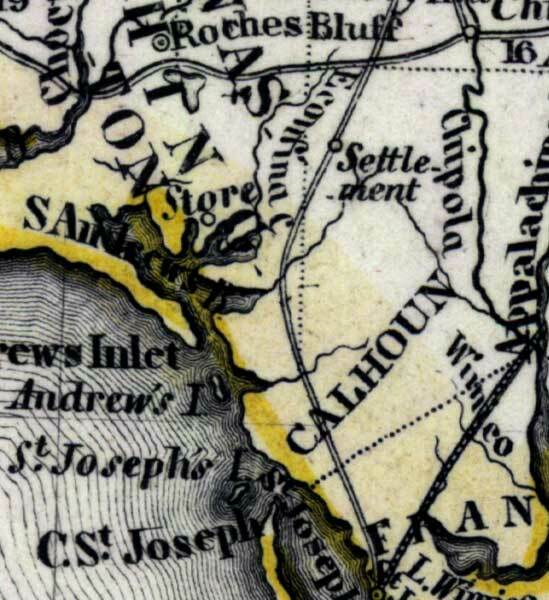 32 1823 The Treaty of Moultrie Creek pushes the Seminole Indian towns into the interior of the Florida peninsula. 33 1824 Tallahassee is established at the capital of Florida because it is half-way between the two government centers in St. Augustine and Pensacola. The Legislative Council meets in November in a log house erected in the vicinity of today's capitol. 44 1835 The Second Seminole Indian War keeps the United States and Seminoles Indians fighting in North & Central Florida. 46 1837 NEWS HEADLINES: In October, Chief Osceola of the Seminole Indians is captured when he arrives for supposed truce negotiations at Fort Payton. He is imprisoned at St. Augustine, FL where he refuses to eat and attempts to escape several times. In December he is moved to a prison in SC where he dies on January 20, 1838. At the time of his death, Osceola was the most famous American Indian. 51 1842 Congress passes the Armed Occupation Act of 1842. It entitles persons willing and able to bear arms against the Indians and establish themselves in villages along the borders of Indian territory ownership of their land after 5 years. 54 1845 Florida becomes the 27th state to join the United States. William Moseley becomes the first governor and David Yulee the first senator. 59 1850 Florida's total population has grown to 87,445. This includes about 39,000 slaves and 1,000 free blacks. Indians were not counted. 64 1855 Third Seminole Indian War begins and war breaks out with most of the battles occurring in Central Florida. It ends three years later when Chief Billy Bowlegs and his band are forced to move from Florida. 2 1793 The cotton gin was invented by Whitney. 48 1839 Goodyear invents vulcanized rubber, opening the door for tires and other rubber products. 62 1853 The process of creating steel is invented by Besermer in Britain and Kelly in the U.S.
20 1811 NEWS HEADLINES: Tecumseh's emerging Indian Confederacy is defeated at the Battle of Tippecanoe in Ohio. Afterwards, Tecumseh and his brother travel from their Shawnee homes in the north to recruit and unify the southern Indians. 21 1812 NEWS HEADLINES: War of 1812 begins and will continue for until 1814. Some call it the Second War of Independence because the US fights Great Britain to a stalemate, Americas independence was assured. 37 1828 Gold is discovered in Georgia. 39 1830 South Carolina becomes the first state to secede from the Union, setting the stage for the creation of the Confederacy. 2 1793 Alexander McGillivray, the head of the Creek Indian Nation, dies. A restlessness begins to grow among the Indians in what is now Georgia, Alabama and Northern Florida as town chiefs via for the vacant leadership role. 12 1803 Louisiana Purchase from France (who secured it from Spain) gives the US a huge new territory and the port of New Orleans. 13 1804 The Seminole warrior later known as Osceola is born near Tuskegee, AL. 14 1805 Federal Road project begins after the Creek Indians give the U.S. permission to develop a �horse path� through their nation that will provide better mail delivery between Washington City (DC) and New Orleans. Soon settlers are traveling and settling along this path to settle the southern frontier. 15 1806 Lewis and Clark Expedition, which began in 1804, ends. News of the rich lands to the west begins to spread. 20 1811 By 1811 the new "Federal Road" (which started as a horse path) is filled with a steady flow of white settlers into Creek Indian Territories. The Spanish begin to fan hostile sentiments among the Indians. 29 1820 The Act of April 24, 1820 abolished the land purchase credit system, fixed the price of public lands at $1.25 per acre, and set the minimum purchase at 80 acres. After a person purchased land, a final certificate was issued by the land office and sent to Washington DC to be verified and signed by the President -- a time consuming process. Public lands were most typically available through US treaties with Indians who agreed to be removed from their homelands. 39 1830 Indian Removal Act signed and the moving of eastern Indians west of the Mississippi begins. 44 1835 Second Seminole Indian War begins. 46 1837 The trickery used to capture Seminole Indian Chief Osceola (Assi Yohola) creates a public uproar and U.S. General Jesup is publicly condemned. 51 1842 Second Seminole Indian War ends and thousands of Seminole Indians are forced to move west of the Mississippi. 64 1855 Third Seminole Indian War begins. It ends three years later when Chief Billy Bowlegs and his band are forced to move from Florida. 2 1793 Marie Antoinette is executed; Fugitive Slave Act passed; Roman Catholic faith is banned in France; France declares war on Britain and Holland. Born about 1796 and died about 1830. Born on September 7, 1816 and died about 1880. Born somewhere in South Carolina on June 11, 1820 and died somewhere in Florida about 1860. She was about 39 years old. Born somewhere in South Carolina on April 12, 1821 and died somewhere in Florida about 1890. She was about 68 years old. 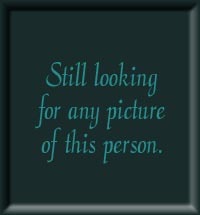 Born somewhere in South Carolina on February 18, 1824 and died in Calhoun Co., Florida about 1880. She was about 55 years old. Born somewhere in Georgia on May 12, 1838 and died somewhere in Virginia on December 16, 1862. He was 24 years old. 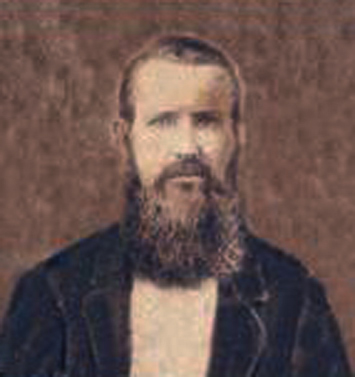 Born somewhere in Georgia on January 18, 1841 and died in Abe Springs, Cahoun Co., Florida on December 13, 1896. He was 55 years old. 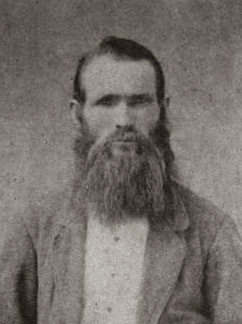 Born in Dooley Co., Georgia on July 9, 1842 and died in Calhoun Co., Florida on December 18, 1889. He was about 47 years old. He first married on (12/11/1866) Harriet Burnam. Born in Dooley Co., Georgia on July 9, 1842 and died in Calhoun Co., Florida on May 13, 1917. He was 74 years old. Born in Pulaski Co, Georgia on April 25, 1844 and died in Calhoun Co, Florida on January 3, 1929. She was 84 years old. 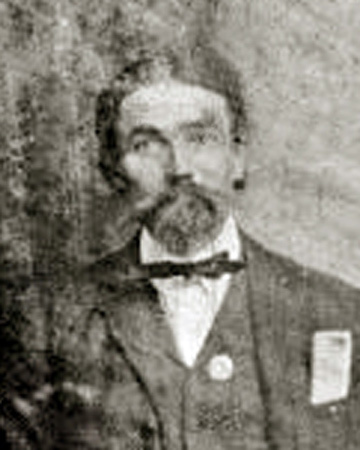 Born in Dooley Co., Georgia on January 9, 1846 and died in Calhoun Co., Florida on February 16, 1906. He was 60 years old. 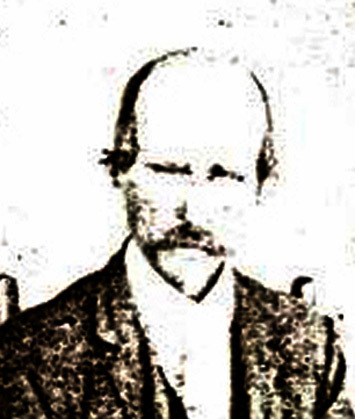 Born somewhere in Georgia on March 12, 1849 and died in Calhoun Co., Florida on November 15, 1928. She was about 79 years old. Born somewhere in Florida on February 16, 1850 and died somewhere in Florida on August 5, 1926. He was 76 years old. Born in Calhoun Co., Florida on January 10, 1855 and died in Calhoun Co., Florida on July 18, 1934. He was 79 years old. 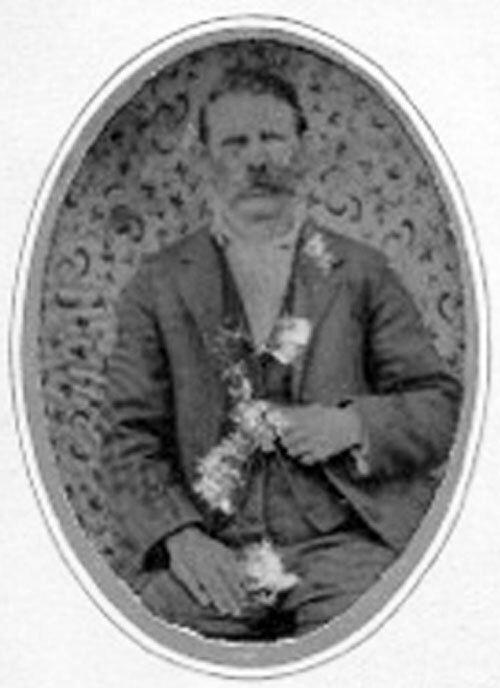 He married on (3/12/1877) to Wineford C. Cash (4/10/1859-5/21/1885). After the death of Wineford, he married on (8/30/1894)to Nancy Catherine Pope (1/9/1860-1/1/1889).